Specimens taller than 80" (200 cm) are not unusual. 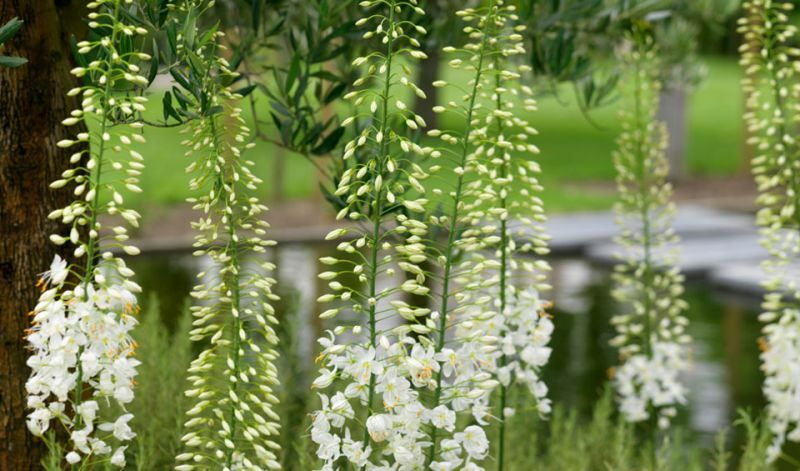 The flower cluster itself is over 40" (100 cm) long and consists of 700-800 little blooms. At the back of borders and perennial beds and as cut-flowers. * PLANTING NOTE: top of the crown should only be covered with 2" (5 cm) of soil. Dig the hole 10" (25 cm) deep (or deeper if the roots are larger) and form a cone of soil in the center of the hole. Spread the roots carefully so that the crown rests on top of the cone. Then fill the hole back in. Native to western and central Asia.